Here’s a little bit of awesome for your Tuesday. 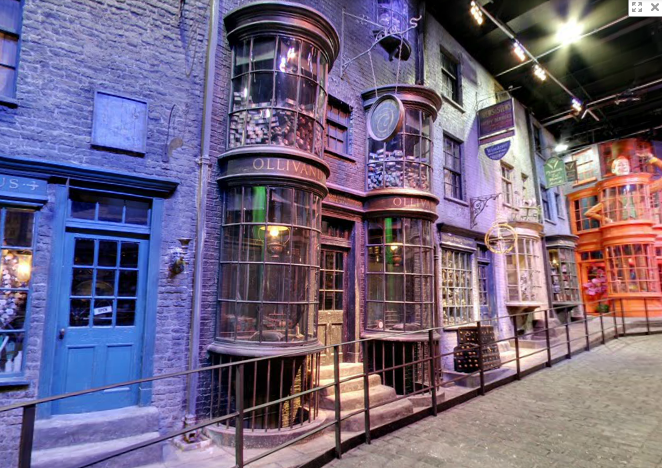 Google Maps has added Diagon Alley to Google Street View. Yup, that’s right. They took pictures of the set from the Warner Brothers Studio Tour and put them up so you can now tour the Wizarding World’s main shopping area from through Google Maps just like you can stalk any real location of your heart’s desire. This entry was posted in Announcement, Harry Potter and tagged Diagon Alley, Google, Google Maps, Google Street View, Harry Potter, J.K. Rowling, Warner Brothers, Wizarding World. Bookmark the permalink.